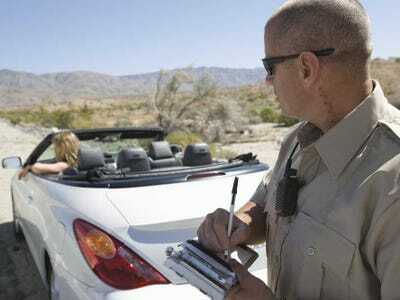 Cops often use acontroversial practice known as civil forfeitureto seize items from the public in order to fulfil a police department’s “wish list,”The New York Times reports. Civil forfeiture allows police to seize items or cash they believe may have been used for illegal purposes, even if the owner of that property has never been charged with a crime. Owners can go to court to get that property back, but many people might not have the fortitude and the means to prevail. One problem with civil forfeiture is that cops can use seized cash and items to boost their budgets, and some states let cops integrate forfeited cars into their own fleets. This incentive obviously makes it incredibly appealing for departments to seize items and cash rather liberally. The Times viewed a number of continuing education videos for law enforcement and prosecutors on civil forfeiture that reveals how they view the practice. In one video, an assistant prosecutor named Sean D. McMurtry — who’s head of the forfeiture unit in Mercer County, New Jersey — made it clear that he would consider cops “wish lists” when deciding how to handle civil forfeiture cases, according to The Times. $US4194.00 In US Currency — a real-life case McMurtry was involved in. Speaking to cops, McMurtry suggested the prosecutor’s office would pursue cases more vigorously if they involved items police needed.